The course covers the theoretical and practical aspects of textile in the light of national international fabric requirements and is suitable for those who wish to make a career in fabric and textile industry. The course covers technical aspects of garment design and offers link with the surrounding fashion industry. The course is apt for the students who are professionally aware, strongly creative and possess an ability to undertake managerial responsibilities in Design, Production and Selection. 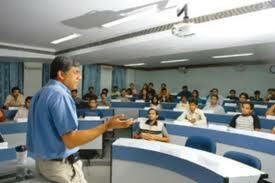 The course emphasises on Production, Costing, Marketing and Presentation of Garments besides Fashion Designing. The student specializes in the study of various international garment markets (Design Wise) viz. UK, France, USA etc., and also domestic market i.e., India besides given training in Computer Aided Design (CAD) and learning of one additional foreign language. Designing of Bedrooms, Bathrooms, Storages, Staircases, Partitions etc. Jewellery designing has been prepared so as to impart the complete knowledge of the types of Jewelleries , their formation, their region and specification of colour in use.It would also give you the details of computer aided designing. Categorisation of the types of Jewelleries into Costumes(plastic),junk(copper), Bridal(gold and artificial), Silver Jewellery. Jewellery Sketching Exercises using Balancing Principles. Study of Metals Used in Jewellery(GOLD, SILVER, COPPER). Types of instruments used like pliers, cutters, wires etc. Types of Raw Materials like glass, laakh, plastic, mettalic etc. Basic Components of Jewellery (embossing, granulation,filigree). Glossary of Terminology (gold rate, karat, casting fineness). Gem identification on the basis of Transparency, Sheen, Colour, Astrology and Gemology. Jewellery manufacturing techniques, eg: MEENAKARI, STAMPING, CHAIN MAKING, FILIGREE making copper and silver jewellery. Visit to Jewellery Houses and local jewellery units.